who did not feel the same. Smells like sour milk or funeral flowers. the acid rising in your darkest hours. you feel hope and dreams die. 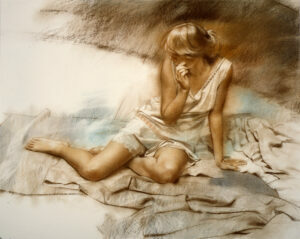 Painting: “Ariadne” by William Whitaker, original pastel, 1983.